The RBI is likely to release its revised stress assets resolution circular after the elections to clear the model code of conduct. The central bank may need time to have consultations with legal experts, industry and government before bringing the framework out. This would mean that the widely anticipated RBI circular would not be issued before June. The delay could also halt resolution of several stressed assets. "After the court judgement, the RBI is extra careful to issue any other circular without proper consultation and vetting. This could result in some delays, but ultimately better regulations would flow," an official source is quoted as saying by a news agency report. 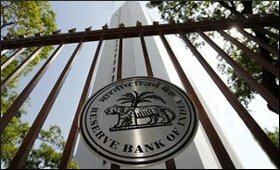 After the Supreme Court’s striking down a February 12, 2018 circular of the RBI that asked banks to initiate insolvency process against companies even if there was a day's delay in payment of dues, it is expected that RBI is likely to adopt a more accommodative approach towards resolution of stressed assets in the new circular. The RBI is likely to retain the main contours of its February 12, 2018 circular while making the referral to NCLT non-compulsory, sources told the news agency.